Hollywood is about to shut down one step at a time as the last-ditch negotiations between the writers' union and Hollywood producers collapsed after the WGA East announced they were going on strike at 12:01 am EST, although the talks were originally supposed to continue through 12:01 am PST. The producers said the union was not willing to "stop the clock" for the purpose of delaying the strike to allow negotiations to continue. "They went out on a strike in New York while we were still negotiating in Los Angeles," a furious producer said. The union responded by saying that it was actually the producers who walked out of the negotiations at 12:30 am EST. 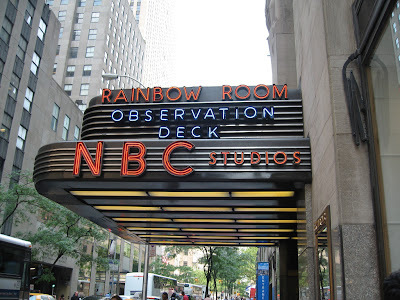 The union members will start picketing 15 different studio/network locations on Monday morning, including Rockefeller Plaza in New York, the seat of NBC. TV showrunners worked through the weekend to finish scripts so more episodes could be filmed and they could get paid. One writer/director said he penned three different scripts with 3 different endings so he could later change his mind as a director without breaking the "Pencils Down" rule of the strike. Late night talk shows will go dark immediately, daytime soap operas should last till the end of the year, while most prime-time shows should make it to the end of January or February sweeps. i really do feel like crying.. what the heck do the hollywood execs think they are doing? more reality tv and less of our beloved shows will surely create huge losses for television. this is just nonsense. arent the writers under contract or something? The contract is up. Go to Varietys website for the best coverage and explanation, no offense Justin, if you have been out of the loop you can catch up there. And I doubt there will be more reality shows since those are obviously partially scripted. or they will at least stop being funny. "Pushing Daises" #1.07 "Smell of Success"
ABC to Air at Least 8 Episodes of "LOST"
Will CBS Dare Put "Swingtown" On Air?